Read the full interview on kodanshacomics. 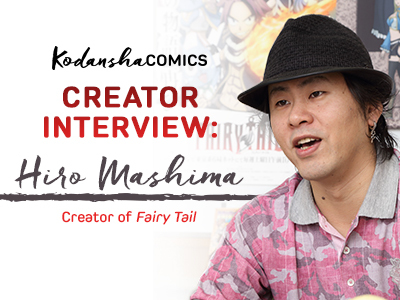 Included at the end of the interview is a video of Mashima drawing and coloring Fairy Tail characters Natsu and Happy. You can even win the autographed sketch by participating in this survey.